Recovery time after a Mommy Makeover? 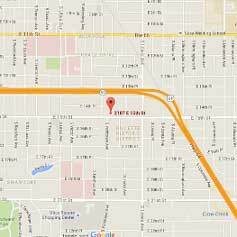 Why Choose Plastic Surgery Center of Tulsa? Board-Certified Surgeons -- What Does that Mean? Dr. Ratliff Selected To Help Woman Featured On "The Doctors"
Implants or Implants & Lift? BodyTite and Why it is Being Called a "Game Changer"
NEW -- Now You Can Text Us Too! HydraFacial MD -- Come See What it's All About! Mommy Makeovers have gotten really popular now and one of the things that people need to know and want to know about this is how long does it take to get over the surgery. It depends a little bit on what the combination is. A traditional Mommy Makeover is breast implant, a breast lift and a tummy tuck. If you don’t need a lift, you can do some liposuction as the third procedure you can vary it up a little bit. But with all of those, the limiting step is the tummy tuck. In a tummy tuck, we’re repairing the muscle underneath the skin and the fat. It’s not just taking off a big piece of skin down at the bottom. You’ve got to tighten up the muscles as well where they’ve gapped apart during pregnancy. That’s a structural repair and because it’s structure, if you strain you can tear it and it basically destroys the result of the operation. So, the tummy tuck takes about 10 days before you can really be up and round, maybe two weeks really is good for a desk job. To get back to the gym is about three to four weeks, and when you go back to the gym it’s a very limited...on the elliptical stationary bike...kind of workout maybe five pound dumbbells for toning same kind of weights for your legs, six to eight weeks to really strain, where you’re really working those muscles. So, the other two procedures as part of a Mommy Makeover don’t really drive the recovery. It’s the tummy tuck. Copyright 2019 Plastic Surgery Center of Tulsa, Inc. All rights reserved.